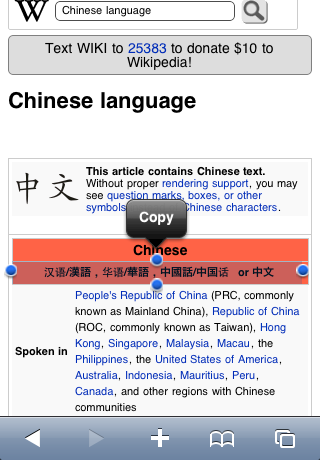 iTranslate with Text to Speech Results is an amazing application for your iPhone. 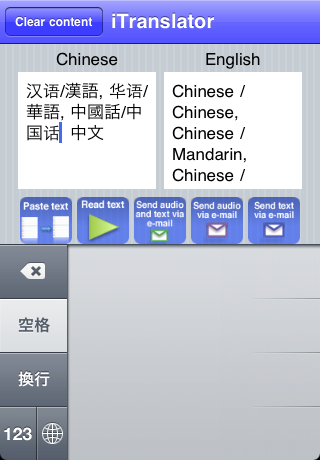 This application will translate most texts in CHINESE into ENGLISH, you will also be able to hear the result translation using TTS technologies. As soon as you are ready with your word or text simply TAP "read text" and the job will be done for you. Text-to-speech (TTS) is a system which converts normal language text into speech. - Web pages and more. - Possibilities are endless, you can select the text that you want. - Select/Copy the text that you want to hear (can be extracted from the email app, notes app, Safari browser and more using the native copy feature). - Tap on "paste" in our app. - Tap on "read text"... and thats all! * Application will give you the choice to send a sound file with the content of the text via email (perfect for voice emails). Our app's voice technology is so clear that it sounds almost human.